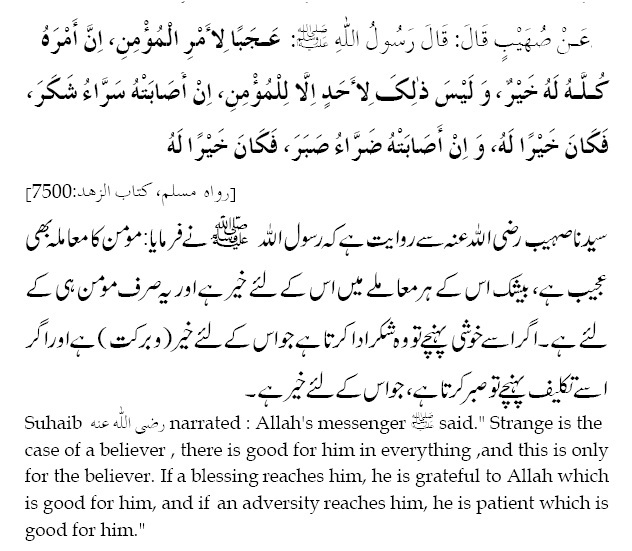 This entry was posted in Ahadeeth and tagged ahadith, hadith, Patience, sabr, sayings, sayings of the Prophet. Bookmark the permalink. When I opened my email address I found that someone, without mentioning his address, has sent me an email under the title of “Ahadith: sabre (patience)”. This title forced me to write to the sender of this message and all other readers of this site based on Quran Karim that: Hadith is prohibited by Quran Karim. And that is as follow. So far as Hadith is considered following Hadith is prohibited by Quran Karim. If we go to the Al_ Aaraf: 3, there we will read that: Follow what has come to you from Allah (s.w.t) (Quran Karim). Do not follow your Aulia without that (Quran Karim). There are Very few people who accept advice and exhortation or remember this. So far as Aulia is considered; from the grammar point of view (Aulia) is the plural of (wali). And wali is explained in Quran Karim, Almaida: 55, as follow: verily your wali is Allah (s.w.t), his prophet (s.a.t.a.w.s) and rest of the Momeneen (Muslims). In the meantime if you go to the Almaida: 68, you will read there: Tell; Oh! The intellectuals or believers of the books from the Allah (s.w.t), you will not be benefited anything from what you are doing until your performances are not based on Torah, Bible (injeel) or Quran Karim ( now only Quran Karim is to be followed as the other books have been obsolesced). And most of the other sources increases or intensifies tyranny, oppression, despotism, absolutism, autocracy and dictatorship and infidelity. Do not be bad to the infidels. We know that Hadith are a plot of the Islamic enemies and are not in Quran Karim. Now we see that; the great majority of all the Muslims are following Hadith, and refuse and reject Quran Karim. And it’s clear from Quran Karim and history that all the deniers of the orders of the almighty Allah (s.w.t) and false accusers of his prophet (s.a.t.a.w.s) have faced heavy tortures, calamities and disasters, coming to them from Allah (s.w.t), throughout the human history. And the worst condition of the present Islamic societies is a live example of the deniers of Quran Karim. And unfortunately Allah (s.w.t) has said that; he will not change the condition of a tribe unless the tribe himself do not want and try to change their states. In the mean time there is another good promise from Allah (s.w.t) that; Allah (s.w.t) will protect Momeneen. Then everyone who tries and start bringing changes in their state will for sure be protected by Allah (s.w.t). Those they want to bring changes in their state should start relying on Allah (s.w.t) learn Quran Karim and should avoid Hadith and any other such tales and false categories. As for the above comment, if we don’t rely on authenticated ahadith, then how do we know the actions for prayer (salah) and Hajj, or the rulings about what is permitted and prohibited during fasts. How would we be able to love the Prophet or know how his dealings with people were..
May Allah give us the sincerity and wisdom to appreciate His words and the words of the Messenger and make us of the people who put Truth before desire. 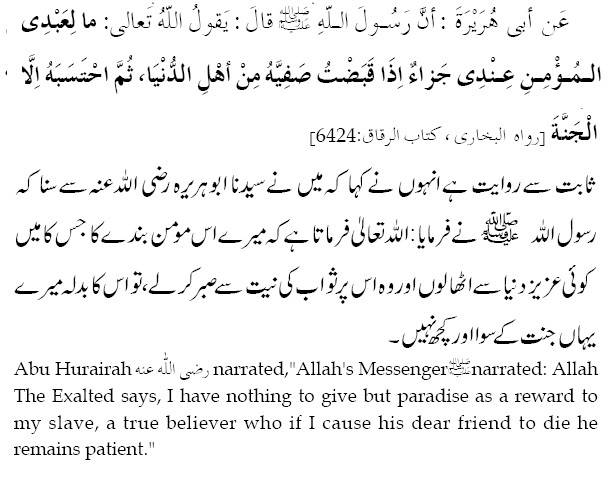 This is such a beautiful and motivating ayah.There is no doubt that a few ahadith are fabricated but there are quite a few that are authentic and not benefiting from those would deprive us from following the way of Prophet saw.Also,Prophet saw is called uswatun hasana(an exemplary example) in the Qur’an.Without his sayings how would we know/learn how to pray,pay zakat,go to hajj,treat others well and the list goes on. Thank you for your response to my comment 1. Dear sisters and brothers: Since the subject of Hadith is an important matter in the life of Muslims, therefore it requires that every Muslim to be clear about it. The follower of Hadith may think that they are on the right track by following Hadith but they don’t know that; coming under the influence of the enemies of Islam they are leaving Quran Karim, that is a book which every Muslim is responsible for its implementation through out of his entire life without increasing and decreasing anything in the contents of this book from his side or following the extra things added or deducted from the Quran Karim orders by others. And on the Day of Judgment Allah (s.w.t) will ask every one based on Quran Karim. So please do not hesitate to read this article very carefully. First I want to know that; I had referred you to some orders of Quran Karim in my previous comments. But you didn’t mention anything about them. Is there any mistake in its translation that you didn’t accept them? Or you have sent your questions which have caused confusions to you regarding to the functionality of the Muslims to the prophet (p.b.u.h)? To clarify the misperception you have from the concept of the orders of Quran Karim you have mentioned I have to go a little in detail. I hope you will not feel inconvenience about it. if you go to the verses Al Baqarata: 38 and 39 you will read that: Allah (s.w.t) says that; When ever my instructions come to you, those who perform according to those instructions, there will not be any fear for them and will not be pinned. Those they refuse or think that they are false they will go in the fire of the hell for ever. This means that the aim of the life of the human being on the earth is to perform according to the orders of Quran Karim. 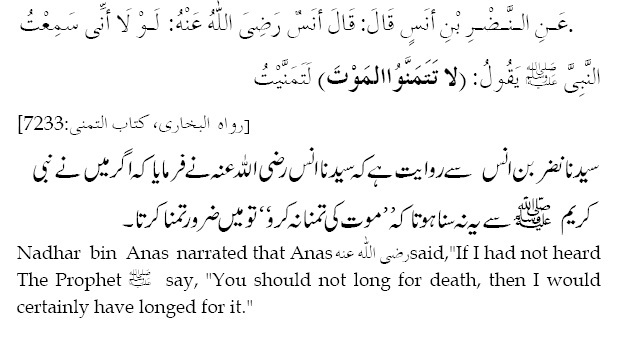 Now so far as the matter of the following of the holy prophet (p.b.u.h) is considered I am asking you this question. 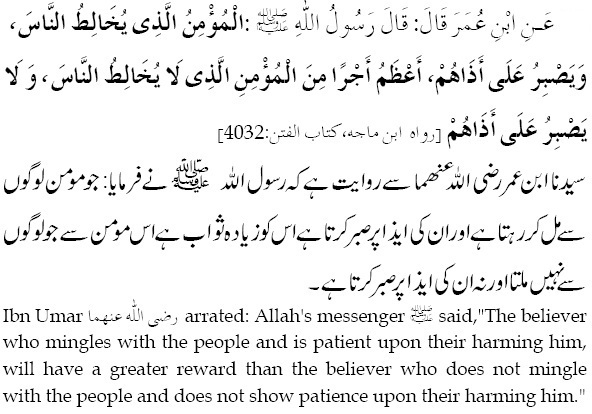 Is there any other reliable source than Quran Karim, who can tell us about the deeds of our holy prophet (p.b.u.h)? If we go to the verse Al Baqarata: 204 and 205 you will read: There are people whose speeches will astonish and will surprise you regarding to the affairs of the life of this world. And they take Allah (s.w.t) as witness on what is in their hearts, but they are always upon adversary and antagonistic with you. Whenever they find power and time they will destroy posterities, progeny, offspring’s, and procreates, and Agriculture. Allah (s.w.t) does not like corruption. And if you go to the verse Al Emran: 78 you will read: There are a group of them, whenever they talk, someone thinks that they are talking based on documents and they are not based on any documents. Then they say that, whatever they say, they are from the book of Allah (s.w.t) but they are not from the book of Allah (s.w.t), They are fabricating false to Allah (s.w.t) and they know. Considering such condition of the men, it is obvious that no one can be sure on the men. For sure, there is no other reliable source than Quran Karim to tell us about the deeds of the holy prophet (p.b.u.h). Now we will approach to Quran Karim and see what Quran Karim tells about the deeds of our holy prophet (p.b.u.h). If we go to the verse Al Ahqaf: 9 we read that; Tell, I am not the first prophet, and I don’t know what will happen to me and to you. But I am following what is revealed to me from Allah (s.w.t). I am just making the people to fear from the Allah (s.w.t). Now if we go to the verse Al Aaraf: 2, this is a book sent to you. It will not be embarrassment, disconcertion, discomfiture, critical situation, and uneasiness, difficulty to start with that and terrify people with that. And it is a remembrance for the believers. If we go to the verse Al Najm: 2 and 3 we will read that; the prophet (p.b.u.h) has not said anything from himself. But he has said whatever has been revealed to him from the almighty Allah (s.w.t). From these holy verses it is clear that; all the performance and speech of the prophet (p.b.u.h.) are all from Quran Karim. Then if someone claims that the prophet (p.b.u.h) has said anything from himself it is just a fabrication and against the above said orders of Quran Karim and is not true at all. It means that; if you perform according to the orders of Quran Karim and speak based on Quran Karim, you are actually following the Allah (s.w.t) and the prophet (p.b.u.h). As I mentioned on the first comment of mine: Allah (s.w.t.) has said that; you will not gain anything from your deeds if your deeds are not based on Quran Karim. And we know that Hadith are not in Quran Karim. Then following Hadith is just waste of time and rendering null your efforts. And verse Mohammad: 33 orders that follow Allah (s.w.t) and his prophet (p.b.u.h) and with following such false, like Hadith, do not render to null your efforts. So far as Salat and Hajj is considered: if we go to the verse Al Baqarata: 238 and 239 it states that; take care of your prayers. And pray calmly. And stand submissive and praise Allah (s.w.t). If you fear, then pray as you are going on foot, or you are riding something. But whenever you are in peace pray as it has been taught to you what you didn’t know that. Based on this order of Allah (s.w.t) we pray Salat the way it has been taught to us. And the same case is about hajj. If you go to the verse: Al Baqarata: 198. You will read there, when you come from Arafat, Remind Allah (s.w.t) at Mash aril Haram. Remember Allah (s.w.t) as it has been taught to you. However you were astray before to this. Someone should be careful that; the way we pray and remember Allah (s.w.t) is the order of Quran Karim and thus we will be rewarded for that. And those things which there are no such a clear order of Quran Karim for its implementation they should be followed the way it has been said in Quran Karim. From the other side if we go to the verse Al Maida: 92 there we will read that; the duty of the prophet (p.b.u.h) is just delivering of the revelation to the people. And as said above his other duty is to terrify people based on Quran Karim. To support this order Allah (s.w.t) orders his prophet (p.b.u.h) in the verse Al Maida: 67 as follow: Oh! My messenger, deliver my messages coming to you, to the people. If you didn’t do so, you actually haven’t achieved your mission. Mean while we know that; this is Allah (s.w.t) who will give us reward or punishment and no one else. This makes it imperative to follow the orders of Allah (s.w.t) and not the order of anyone else unless it has not been ordered by Allah (s.w.t). Wa Ma Alaina Illal Balaghul Mobeen.